We often get a lot of questions from people who are intrigued by Rhetoric–The Public Speaking Game™. To be more efficient (and to save our fingers from having to type out the same answers over and over) we list below some of the of the most common questions and our answers. Why would I even think about playing a public speaking game? I hate public speaking! Good question. Let’s try to answer it. First of all, the game is meant to be fun. We have spent many afternoons and evenings playing RHETORIC with all kinds of different people. Many of those people are nervous before the game starts. They cannot imagine themselves getting up and giving speeches in front of friend, colleagues and / or strangers. But you know what? By the end of every game that we have played, people could not wait for their turn to come around! They were looking forward to it. We are pretty sure that you will feel the same way. There’s another reason why you should play RHETORIC. In fact, it’s the same reason why everyone should play. Being able to speak well in public is extremely important. You may have great ideas, but if you cannot convey those ideas to others in a manner that is engaging, persuasive, concise and memorable, then much of your potential will not be realized. RHETORIC is fun and effective way to get you up on your feet and sharpening your rhetorical skills. 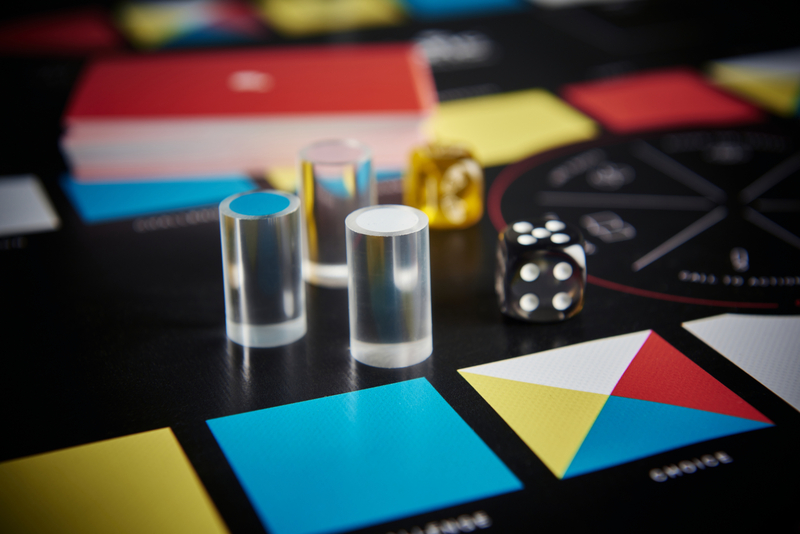 RHETORIC is like many other board games in that every player has a marker. You roll the die and move your marker around the board. Every time you land on a square (which is always), you have to give a minimum one-minute speech. The subject of your speech will vary depending on the square on which you land. For more details, you can read our short and simple game rules. The game costs €65 plus shipping. The cost of shipping depends on the destination and the number of games ordered. We offer a discount for orders of three games or more. If you send us a non-binding request, we will tell you the total cost in Euros and your local currency. Some shipments may be subject to VAT. In addition, the country where you reside might charge customs duties on your game. How do I order my copy of RHETORIC? How do I pay for RHETORIC? You can pay for RHETORIC by bank transfer or via PayPal.